In July, Big Finish Productions celebrates fifteen years producing licensed Doctor Who audio dramas. In celebration of this milestone, we’ll take a look at the history of Big Finish’s work this week and next week we’ll review one of their latest releases as we take a look at some of the most successful contemporary audio drama being produced. From 1963-1989, BBC aired Doctor Who which chronicled the adventures of the Doctor, a time travelling alien known as a Time Lord. Every few years, the Doctor would “regenerate” and take on a different face and a somewhat different personality than he had previously. This element introduced when the first actor to play the doctor, William Hartnell was ailing. This served to allow the recasting of the role and since then had served to allow both the lead and the direction of the series to change while still remaining Doctor Who. After that, Doctor Who went off the air for most of the next sixteen years. 1996 saw a joint U.S./British effort to revive Doctor Who with a made for TV movie that aired over Fox and starred Paul McGann as the Eighth Doctor. When the TV was made, McGann hoped to star in a brand new Doctor Who Television series, but that failed to materialize. The series would finally return to television in 2005 and become an international sensation. However, during the intervening years, that didn’t meant Doctor Who wasn’t being made…it just wasn’t being made on Television. During Doctor Who’s television run, audio dramas didn’t play a huge part in the series. 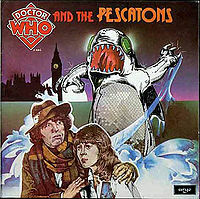 The fourth Doctor recorded two audio dramas in 1970s, one of which was a 20 minute educational piece on geography, as well as a 45 minute commercial release Doctor Who and the Pescatons which was kind of a hybrid of audiobook and radio drama. In 1985, during an eighteen month hiatus for the TV show, the Sixth Doctor played by Colin Baker starred in a radio serial Slipback. In 1993, Doctor Who returned to BBC radio with an intriguing idea. The Doctor present was not the last doctor to appear on television, but the Third Doctor played by Jon Pertwee who’d left the series nearly twenty years before. 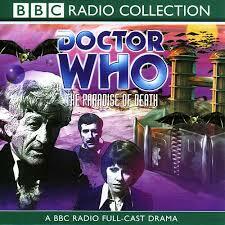 The story Paradise of Death was set in the midst of the eleventh season of Doctor Who. The program was a success and fans demanded more. Pertwee made a second program in 1994 but there were snags in getting the program to air as the BBC was wrangling with potential suitors to purchase rights to the series according to Pertwee and the story, The Ghosts of N-Space didn’t end up airing until January of 1996, a few months before Pertwee died. The demand for Doctor Who audio continued through the series’ dedicated fan base. Sylvester McCoy and Sophie Allred who had played the Seventh Doctor and his companion Ace starred in a series of audio dramas called The Professor and Ace which while avoiding flagrant copyright violation, was obviously an attempt to tell a Doctor Who story without the Doctor’s time machine The TARDIS or other tropes of the series. In addition, many fans made unauthorized productions of Doctor Who. One of these being the Audio Visual tapes in the mid-1980s and early 1990s. Many of those involved in these efforts helped to start Big Finish Productions in 1996, a company focused on producing audio dramas. Big Finish’s first release were audio dramas featuring Bernice Summerfield, a character who had first appeared in Virgin’s New Adventures Doctor Who novels but was licensed seperately from the Doctor Who series. Some novels that had featured the Doctor were rewritten to feature the Summerfield alone. However, Big Finish would quickly move on to bigger things. They negotiated non-exclusive rights to produce new Doctor Who audio dramas secured the involvement of Peter Davison, Colin Baker, and Sylvester McCoy who had played the fifth through seventh doctors on the TV series. 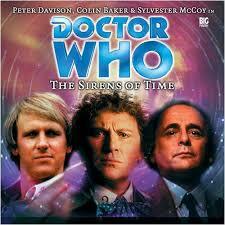 The format of the new Doctor Who Adventures would be much like the Pertwee BBC dramas except there would be one new Doctor Who Adventure per month beginning with the Sirens of Time, an adventure which would feature all three Doctors in it. From there on out, each month Big Finish put out a new Doctor Who full cast audio drama featuring one of the three doctors. Big Finish added Paul McGann’s Eight Doctor to its lineup in January 2001, thus allowing him the chance to realize the hope of being able to play the Doctor in a series of dramas rather than just the single telefilm. Big Finish continued to expand its line of programs, adding several Doctor Who spinoffs including a series about Doctor Who enemies the Daleks and Cybermen as well as one about 1970s Doctor Who companion Sarah Jane Smith, one about U.N.I.T., a military organization from the series, as well as a series of alternate dimension looks at the Doctor. The revival of Doctor Who on television didn’t end Big Finish’s run on Doctor. In fact, one of the Big Finish Audio plays actually became the basis for one of the revived Series’ most acclaimed episodes, “Dalek.” However, Big Finish was only allowed to use stories featuring the first eight doctors and scripts for radio dramas were scrutinized by the production team for the television series in Cardiff to be sure that nothing would in the radio drama would conflict with the television series. These limits haven’t really hurt Big Finish as they’ve continued to expand their Doctor Who spinoffs including the very popular Jago and Lightfoot series, while also obtaining licenses for new audiobooks and audio dramas based on programs such as the gothic horror classic Dark Shadows, Stargate: SG1, and the British Sci Fi classic, Blake’s 7. On the Doctor Who front, after nearly three decades of refusing to reprise his most famous role as the third doctor, Tom Baker joined Big Finish in performing a series of new adventures, joined by his former compatriots. In 2013, as Doctor Who celebrated its fiftieth anniversary Big Finish put on its own fiftieth anniversary special featuring the fourth through eighth doctors, Light at the End, which some fans consider to be superior to the internationally broadcast television special featuring the two latest Doctors. In advance of the fiftieth anniversary television special, McGann’s Eighth Doctor finally has his regeneration scene and recognized all of his companions from the audiobooks which many interpreted as making all (or most) of the audio dramas canonical within the Doctor Who universe. When Big Finish began doing Doctor Who fifteen years ago, it was taking advantage of huge demand from fans who demanded more of a series they loved, and having the cooperation of original actors certainly helped. However, the audio dramas proved to be winners all around. 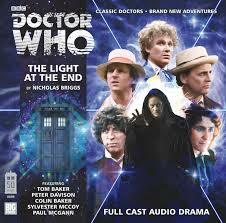 Big Finish Productions was able to make a wide variety of stories including large tales with relatively small casts. Actors enjoyed a family atmosphere as well as the unique opportunity radio opportunity afforded to play a wide variety of characters. And many fans discovered the benefits of radio drama. One of the chief challenges of the Classic Doctor Who series was that its special effects budget were often quite limited, but the power of audio is that you can have as big of an effect as you want when you’re playing the theater of the mind. Thus, Big Finish’s Doctor Who work has survived and thrived for fifteen years. Well done and good luck on many more.